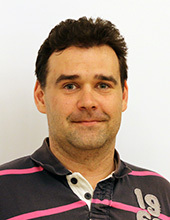 Istvan Horvath is a researcher in Pernilla's lab. The main focus of my research is protein misfolding and aggregation and its implications in various diseases including Parkinson’s disease Alzheimer’s disease and type 2 diabetes. My results contribute to the basic understanding of these protein misfolding diseases which will help to develop better treatment and prevention strategies. There might be more projects where Istvan Horvath participates, but you have to be logged in as a Chalmers employee to see them.